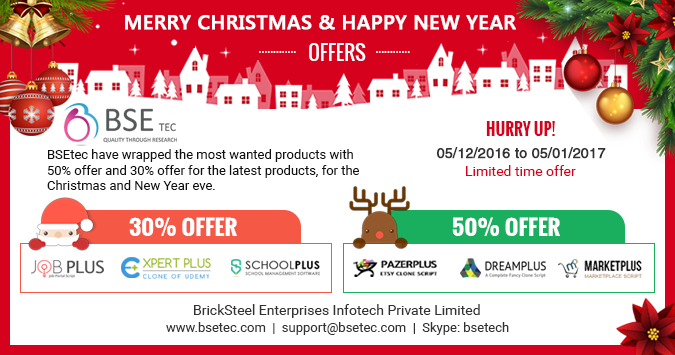 BSEtec's Mega seasonal Offers !!! BSEtec’s Mega seasonal Offers !!! We feel happy to announce our products open source script are available with attractive offers like…. 2.THEME FOREST CLONE: Readymade market script for Themeforest,Graphicriver,Codecanyon clone,Audiojungle,Videohive.